December is a busy month in my office. Our Giving Tree (See more posts about the Giving Tree Here and Here) is up, and I am starting to collect presents. In addition, I have a mountain of clothing stacked up in one corner of the suite room that I have been collecting for a Clothing Swap (more posts about the Clothing Swap Here). I had to postpone it from the original date in October due to lack of donations, but we are ready to go and just need to publicize a new date. 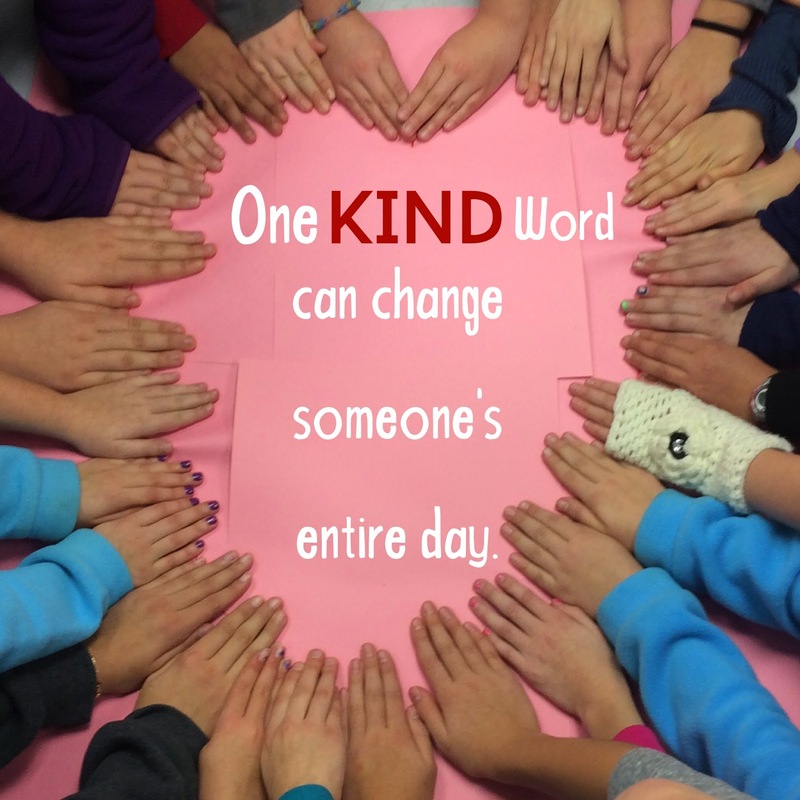 Kids notice everything, so I thought I would use lunch bunch today to talk with them about Random Acts of Kindness. When they had all settled down, I went over to my whiteboard and, while writing the word, "Random" asked what does "What does Random. . ." I did not even get to finish my sentence when they should "Random Acts of Kindness" and started blurting out answers. Several students have grandparents or great-grandparents in nursing homes in the area so we talked about making cards for the residents at those facilities. Hold a penny drive to raise money for the SPCA. Invite students sitting alone in the cafeteria to sit with a group. Be a secret gift giver to someone. Donate a book to the library for their book sale. Help out at a food drive. Ring bells for the Salvation Army. The great thing is we talked about how we don't need to spend money to do an act of kindness, we just need to have a heart full of love. We ended by taking this photo. We will be continuing this talk next week, so I will post more then.